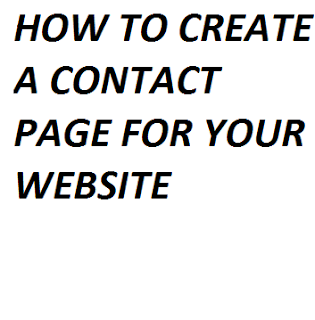 One of the most important pages on any website is the contact page. The contact page helps site visitors to talk directly to the website administrator. When a visitor comes to your website and finds what you offer interesting, such visitor may want further clarification. A typical contact page should carry the visitor’s name, the subject of the mail, the email address and message. We cannot underestimate the importance of a contact page as it fosters a relationship between blog visitors and users. It is also a very strong criterion if you wish to monetize your site through the popular content monetization platform called “Google Adsense”. There are many ways to create a “contact page” depending on the platform your site is running on. Most BLOGs today are either powered by blogger or wordpress. ð First, go to your browser and open two browsing tabs. ð Next, on the first tab go to www.foxyform.com or you can click this link. 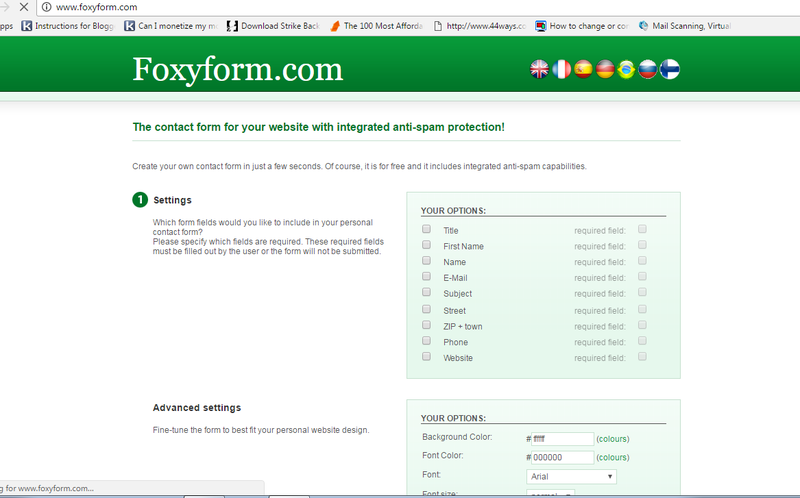 ð Now a page will be opened and you will be asked to create your form and customize it whichever way you want. ð Next, you will be given options of what you want to be displayed to your site visitor. The options are; Name, title, email, subject, website etc..
ð Next, the advanced option of background colour, font colour, font, and font size will be shown to you for customization. ð Next, you will be asked to provide a target email address, which is the email where all inquiries or mail will be sent to. Please ensure you provide an active email address so as to prevent loss of messages from site visitors. ð Next, you will be asked to fill the anti spam protection form to prove you are not a robot. ð Now click preview to see the job you have done. ð Next, if you are satisfied with the preview, click create formular. When you have created the form, an HTML code will be generated for you immediately. Now copy the code without any mistake and save it on your notepad or anywhere safe. ð Now go to the second tab you opened and go to blogger.com. I believe you are now on your dashboard, because that’s the exact place you should be after you sign-in to blogger. ð Now, go to layout. ð Next, click on add widget on the desired position you want your form to be. ð Next, select add HTML gadget. ð Next, in the name field write Contact Us and on the content copy that HTML code you saved from foxyform and paste there. ð Next, click save and reload your page. Your contact form is now ready for use. I hope you found this write up useful and I have been able to answer your question. If so, please share to your friends and don’t forget to comment.